I also use have used the Tokina 50-135 f/2.8 and Canon 80-200 f/2.8L. (These lenses are no longer available on the new market but they can sometimes be found used at stores such as Adorama.) If I were making a purchase today, I would choose one of Canon's highly-regarded 70-200L lenses (actually, I may be getting one in the near future as a supplement). Any of the four are worthy- which one to buy depends on whether you shoot action or low-light photography and what kind of weight you're willing to carry around. Personally, I'm eager to pick up a 70-200L f/4 or 70-200L f/2.8- as an action photographer with reasonably steady hands I have not found that image stabilization offers anything for me worth the crazy surcharge Canon tacks on for those lenses. If you're specialty is portraits or other still subjects, you might find the IS is more important. Additionally, I am a big fan of Lomo cameras. While some criticize Lomo for its high prices, I have not found an alternative that has the size, feel and quality of the LC-A+ (I did spend several days perusing legacy cameras in Shanghai's used camera market). Thus, I recommend the LC-A+ without hesitation. Disclaimer: I (and every review site that I'm aware of) make money through commission for any sales. I have only suggested equipment I either own or am strongly considering for future purchase. Thus, I have left off some big ticket items such as the Canon 5D Mark II and Fuji X100- while both have their use, I feel their price is greatly inflated for what they offer. 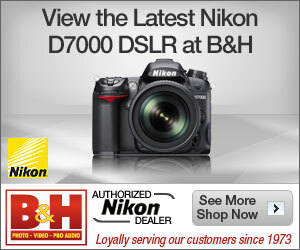 Please support this website by making purchases from B&H, Adorama or Amazon through our links.